Is your SMSF lending money to someone? Having worked with clients and their accountants or administrators over the last few years to close some SMSFs, I thought an article on the winding up of a SMSF would be appropriate as many of the initial SMSF owners enter their 80’s and consider their options. Winding up a SMSF is a process whereby you transfer to another fund or liquidate all assets left in the fund and pay them to the beneficiaries after costs, prepare all the final accounts for ATO reporting and administrative requirements and advise the ATO of your decision. You do need to consider your trust deed and follow a process to make sure that if you are winding up your SMSF, you complete all the tasks laid out by the deed and required by the ATO. Whilst the practical reality is that your accountant or SMSF administrator will take care of most of this for you, it is important that you are aware of and understand what is involved as your ultimately responsible. Many people just get tired of the paperwork, responsibility and ongoing burden of managing your SMSF. In the last few years we are seeing those first people who set up a SMSF decades ago have reached a point where the fund’s assets have reduced to a level such that it is no longer cost-effective to run the fund. Remember in your 80’s the minimum pension rises from 7-9% over the decade and 11% at 90. A member has moved overseas for work or leisure and become a non-resident for Australian taxation purposes. All the members and trustees have left the SMSF (for example, they may have transferred their benefits to another fund or have passed away). Where the members are divorcing and neither wishes to retain the SMSF fund for one reason or another. Winding up your SMSF will require careful management of a number of tasks. If your SMSF is not wound up correctly it is possible it will remain open, which may lead to additional payments for required financial statements, fund audits and the lodgement of the annual return. These tips outline some of the key considerations and tasks involved in winding up an SMSF. Please note this is not a comprehensive list and professional advice should be sought to cater for your personal situation. Check the trust deed – The first place to turn should be the SMSF trust deed, as this may contain certain requirements regarding the wind up process. Obtain written agreement – To ensure all parties are properly informed and to avoid unnecessary complications, each trustee/member should sign an agreement to close the fund. In the case of a corporate trustee, the directors must decide whether the company should remain running or be wound up. Verify with members how they would like existing benefits paid – Each member must notify how and where they want their benefits to be paid, specifically whether they want their benefits to be rolled over to another super fund or paid out (as a lump sum). Prior year’s tax and compliance obligations – Ensure all prior year financial statements, tax returns and other tax and compliance obligations have been finalised. – a contact person, with contact details such as name, phone number, email etc. The wind up of a SMSF means that there will be no assets left in the fund. To move these assets out, you need to comply with both the SIS laws and your trust deed. This generally means paying out lump sums to members, provided they can satisfy a condition of release, or rolling over the members benefits to another complying superannuation fund (usually either a retail fund or industry fund). If you are rolling benefits over to another super fund, there are two ATO forms for completion:- Request to transfer whole balance of superannuation benefits between funds(NAT 71223) – Members of your SMSF use this form to request the transfer of the whole of their benefits to another super fund. Rollover benefits statement (NAT 70944) – If you rollover benefits to another fund, you need to complete this form as a trustee. You keep a copy, and send a copy to the new super fund that the members’ balances are being transferred to. If any members are eligible (and have received) their benefits as a lump sum payment, you will need to complete the form ETP payment summary – superannuation fund (NAT 2606). A PAYG payment summary – superannuation income stream (NAT 70987) needs to be completed if a pension payment was paid to a member and tax was withheld. Note also that where you are selling assets so you can pay out benefits or roll over benefits to another fund, there may be capital gains tax issues. 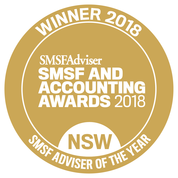 Arrange for a final audit and the final SMSF annual return – Arrange the audit and the fund should then lodge its final annual return with the ATO ensuring they complete the relevant section of the annual return that indicates that the fund is being wound up during the income year and finalising any outstanding tax liabilities at that time. If everything has been done correctly, the ATO will send you a letter stating that they have cancelled your SMSFs ABN, and closed your SMSF records on their system. Close your SMSF bank account(s) – Only AFTER you have received the ATO confirmation letter should you close your SMSF bank accounts. In some cases the SMSF will be entitled to receive a tax refund from the ATO upon completion of their final annual return. In this situation a bank account should be kept open to receive this refund. Alternatively if the clients have met a condition of release then close the bank account and have the refund paid to an accountant’s trust account or to the clients’ account in trust and treat as a final commutation. Post wind up expenses – Certain expenses may not fall due until after the SMSF is due to be wound up. Rather than keep the SMSF running and delaying the wind up process, the SMSF can be closed and the some cash can be retained on trust by the former trustees until the liability is paid. Our copy of our Financial Services guide can be obtained by clicking here or visiting our main www.verante.com.au website. 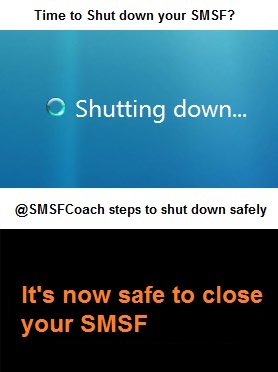 We are thinking of closing down our SMSF and was wondering if the liabilities such as CGT and Accounting Fees can be paid from our personal account instead of the SMSF account so that we can close the account ASAP and can we receive our refunds from ATO back to our personal account as well. Secondly, we are in a pension phase and thinking of a rollover to an Accumulation phase in an industry super. Does this mean that we do not have to do a full draw down for our SMSF and it can be pro-rata? Sorry Amanda but that is very specific advice you need which I can’t provide on here. In general though if you are in Pension phase there should be no CGT. The SMSF tax refund can be paid to the accountant’s trust account and they can take their fees from there before making a final payment to the members as a lump sum commutation but only if the members have met a condition of release. By rolling over a pension to accumulation the members are commuting the pensions so they must take at least the pro-Rata minimum pension for the year to date. If you are asking if all the funds have to be rolled to the industry fund then the answer is no if you have met a condition of release. Please seek good advice before acting and on’t forget to read your trust deed to check any process in their for closing your fund. We manage and guide the closure of many funds with Client’s accountants when no longer suitable and help people move to industry or retail funds. You just need to know your options follow the process. Please be careful with short-cuts as the penalties are high now. We have SMSF with my wife as the member and both of us as trustees. She has reached age pension age and will be applying at Centrelink for it soon. I already received the age pension. When we put down on our assets on Centrelinks assets form, will the amount in the SMSF be allocate solely to my wife or to the two of us? If it is allocated only to her, would it not be better for us to close the SMSF and put the money into the bank under both our names for re-organising at a later date. Once you are aware of how your Age Pension is affected you might then want to get some advice on your options. you should not taker any money out of superannuation or close your SMSF until you are sure of the effects. I am looking at winding up my SMSF which holds one investment property supported by a mortgage. What are my options with the property please? Ideally I would like to keep it, since if it was sold, I would lose a considerable amount of money as the house prices have dropped here in WA since it was bought. Hi Fred, you should get personal advice on this question as complicated. In general a person would need to buy the property from the SMSF at market value and clear the SMSF debt. If a person(s) is in pension phase then they could consider a lump sum commutation of the property to the member(s). So the fund basically pays out the asset as a benefit to the member(s) at market value. You should check for stamp duty concessions under the 2008 Duties Act in WA which may be favourable to you. Otherwise a person would need to buy or borrow to buy the property from the fund at market rates. Please do seek specific advice. 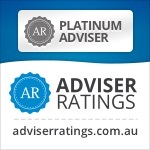 If you are living in WA I would recommend Con Gotsis at http://pascoepartnersaccountants.com.au as a first port of call. If he can’t help you he will know someone who can as he runs the SMSF Association Local Community in WA. I am a SMSF novice but finding your site useful guidance. When closing down the property fund, can we move into the property & transfer an “equivalent” cash value into super and not incur stamp duty? So you would be effectively buying the property from the fund. Stamp duty will be payable in some states so you should check with your accountant and conveyancer to check what is the rule in your state. If you want expert legal opinion then let me know which state you are in and I will point you to the right person. Hi – we are approaching the stage where we wish to close down the SMSF as we plan on travelling the next few years and won’t have the time to manage it. We are both in the TTR stage with the SMSF and taking out the minimum, and as we also currently work we have separate super funds which are in the accumulation phase. These individual super fund the insurance requirements so we don’t wish to close them out. The question is – are we able to open a “new” super fund – which will be in both our names – as retain the TTR status and payments yet keep the individual super funds. Hi Liam, I presume at step 6 you get the bank account to a zero balance even though it remains open? The accountants I work with want a closed account to prepare final accounts from. Yes I believe it is often preferable to have the bank account closed especially if the final tax return is expected to be a refund. The refund can be paid to the Accountants trust account normally. What if members have met a condition of release and wish to transfer shares in the SMSF to their individual names when they wind up? Do they still have to convert the shares to cash first? In general if a member has met a full condition of release they can take a lump sum payment in the form of an in-specie transfer of shares from the fund before winding it up. You cannot take them as a regular pension payment so the lump sum is the only option. Otherwise if you are winding up the fund you could look for a Super or Pension Wrap that will accept the in-specie rollover of the shares from the SMSF. You should see personal tax and financial planning advice to address your personal circumstances and always talk to your Share Broker beforehand to assess their charges as they often charge $55 per transfer but you can often negotiate for multiple transfers. I find that listed/public unit trusts can often cause admin issues with winding up SMSFs. Trustees will understandably want the fund wound-up before the end of the financial year so as to not pay an extra years supervisory levy and other costs, but the tax statements for unit trusts or wrap accounts holding unit trusts aren’t available until August/September the following financial year. Planning for winding-up a SMSF should start well ahead of the planned wind-up date. Good point Luke. As most people are choosing when to wind up a fund rather than it being forced, my suggestion would be to redeem any unit trusts in this financial year and wind up the fund at then end of the following year. This will save on Accounting costs of doing interim accounts.